We’re coming up on Team of the Season in FIFA 19 but, as always, the squad of in-form players from this week’s games continues. Here are our FIFA 19 Team of the Week 31 (TOTW 31) predictions. Team of the Week players can be found in any gold pack. If the player has a base silver card, they can also be found in silver packs, and the case is the same for players with base bronze cards in FIFA 19, but we don’t see them very often. If you don’t pack them, you will also be able to buy them from the transfer market. They are also the players that you’ll be able to get from TOTW red player picks in FUT Champions. Team of the Week players in FIFA 19 are just slightly upgraded version of existing players in the game. They are awarded for good performances in real world football and players’ rating gradually get higher as they get more and more in-forms. You’ll notice them due to the card being black rather than gold. Pepe Reina – GK – AC Milan – 85 OVR – The forgotten Spaniard stepped in for Donarumma this weekend, making five saves and keeping a clean sheet. Kalidou Koulibaly – CB – Napoli – 92 OVR – After a less than perfect display vs. Arsenal in mid-week, Koulibaly made a difference at the other end of the pitch in Napoli’s game this weekend, scoring twice. Omar Elabdellaoui – RB – Olympiacos – 79 OVR – In a quiet week for defenders, Elabdellaoui may get a place after scoring once, assisting another, and keeping a clean sheet this weekend. Mathieu Debuchy – RWB – St. Ettiene – 82 OVR – With a clean sheet and two goals to his name this weekend, the Frenchman is a shoe-in for a TOTW 31 spot. Ryan Babel – LM – Fulham – 82 OVR – Fulham may already be relegated but they got a hard-fought win over Everton this weekend thanks to the ex-Liverpool man’s goal and assist. Nicolas Pépé – RM – Lille – 88 OVR – In line for what would be his fifth TOTW card of the season, the young winger scored once and assisted two more in Lille’s shock 5-1 win over PSG. Kevin De Bruyne – CM – Manchester City – 92 OVR – After a stop-start season, a TOTW card for his two assists vs. Palace would be his first all year. Paul Pogba – CM – Manchester United – 92 OVR – This is an unsure choice. Pogba did score both of United’s goals in their win over West Ham, and there aren’t many other big names to include this week, but the fact that they were both penalties and he had a TOTW just a few weeks ago may count against him. Dwight Gayle – ST – West Brom – 84 OVR – With a hat-trick to his name this weekend, the English striker will definitely make the cut. Lucas Moura – ST – Spurs – 84 OVR – Lucas has dropped off slightly since his POTM card back int he first month of the season, but he’s back up front following Harry Kane’s injury and he scored a hat-trick in Spurs’ 4-0 win on Saturday lunchtime. Callum Wilson – ST – Bournemouth – 82 OVR – Another English forward, Wilson scored once and assisted two more in the Cherries’ 5-0 win at Brighton. When Does Team of the Week 31 Go Live in FIFA 19? That does it for our FIFA 19 Team of the Week 31 (TOTW 31) predictions. 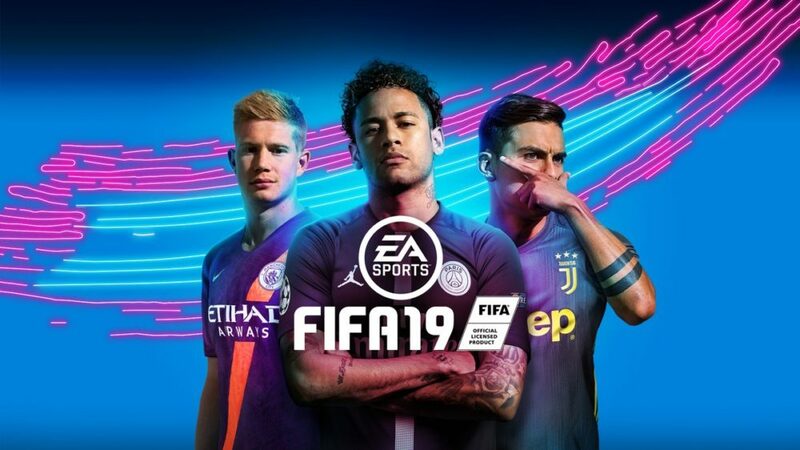 For more tips and tricks on the game, check out our FIFA 19 wiki guide.